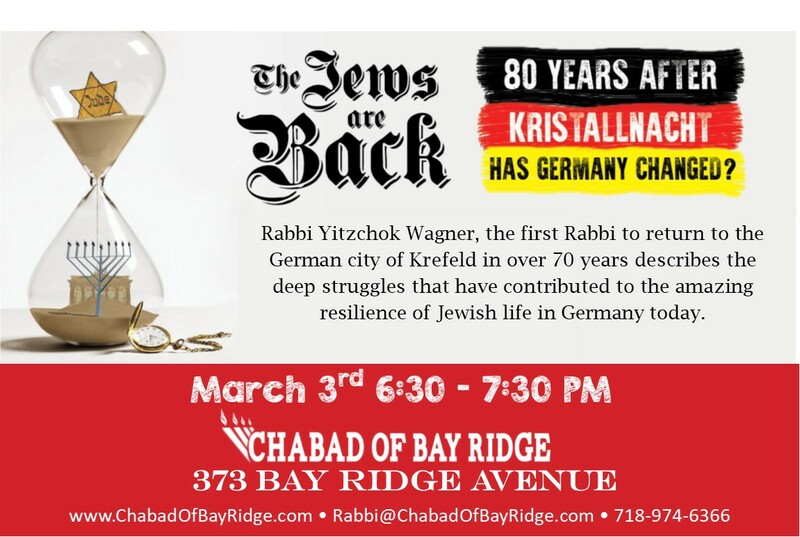 Stay informed about all the events at Chabad of Bay Ridge. Torah class - every Thursday night (please confirm, on rare occasions the class may be cancelled). Friday night services - Every Friday night exactly 45 minutes after candle lighting. Shabbat morning services - Every Shabbat morning at 10:00 AM, followed by a Kiddush and Shabbat meal.